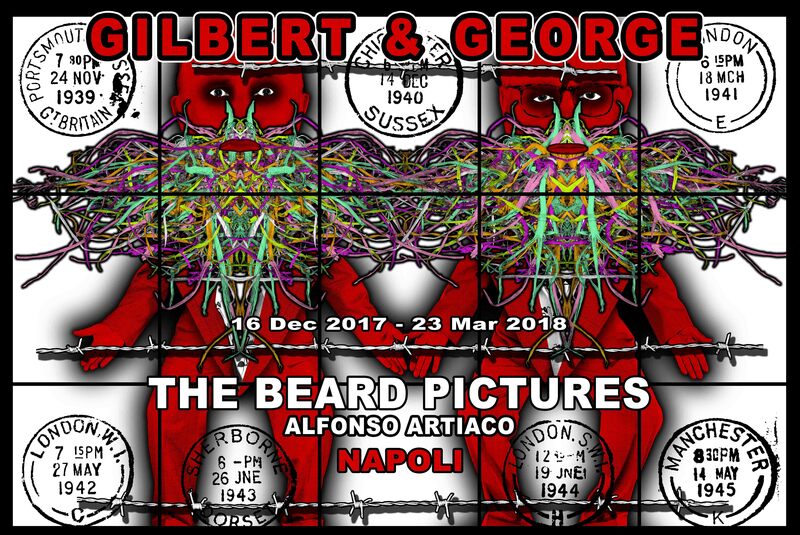 what is gilbert & george? 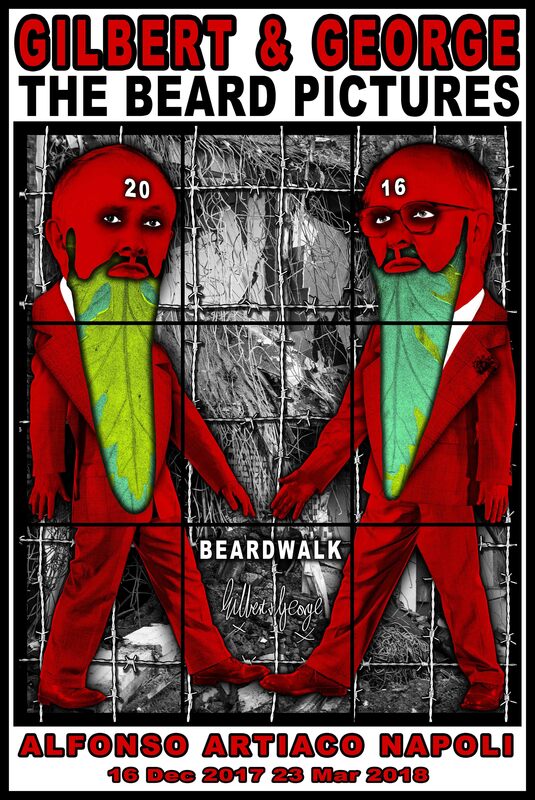 Sombre and crazed, stark and lurid, THE BEARD PICTURES confront the viewer with a disquieting vision of modern times. 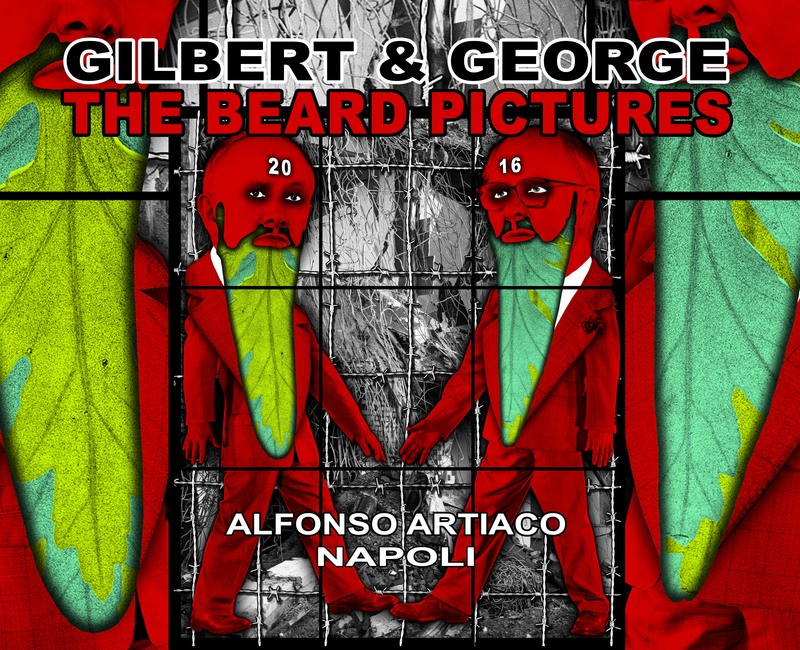 Their temper conveyed through successive symbols – ruins, barbed wire, grotesque cartoon-like caricatures of Gilbert & George – the unifying motif of these maddened paranoid fairy tale pictures is the image of the beard, pictorially extrapolated to the point of surrealism. Secular and sacred, the throwback emblem of hip millennial youth as well as a mark of religious faith, the beard is depicted in THE BEARD PICTURES as both mask and meaning: a sign of the times.